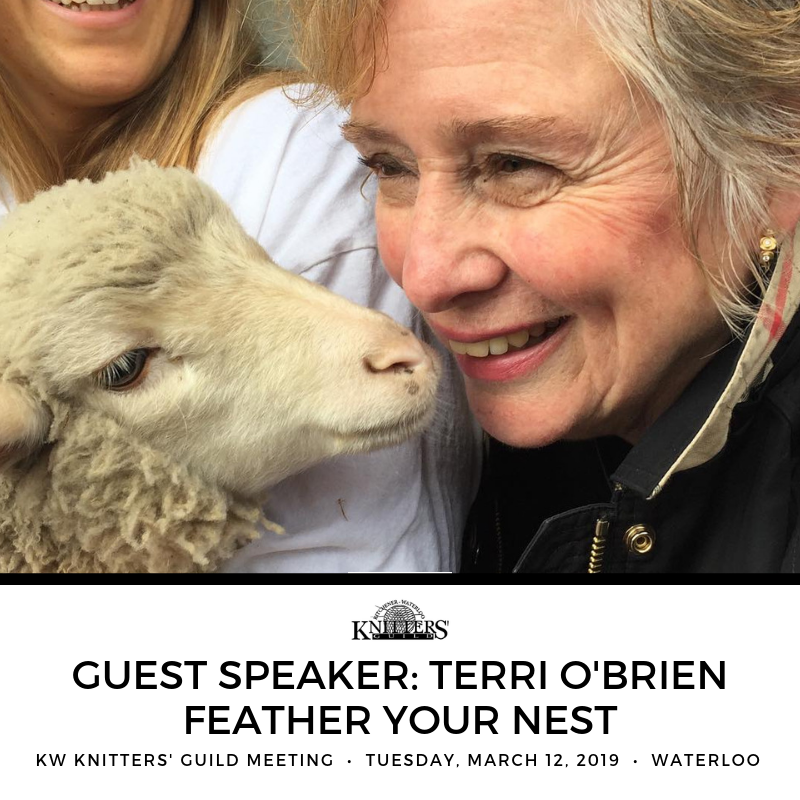 March 12, 2019 - 6:30 p.m. ~ March 12, 2019 - 9:30 p.m.
Terri O’Brien of Feather Your Nest will be discussing “Taming Animal Fibres” at our March 12, 2019 Guild meeting. Terri will feature yarns such as Alpaca, Mohair and Cashmere bases. She will also share tips and tricks including nature of the yarns, type of needles, pattern choice and proper care of featured fibres. Terri will have a nice selection of model garments, and pattern recommendations. Monthly K-W Knitters’ Guild meetings run from September through May on the 2nd Tuesday of each month. Members may attend all meetings free of charge. Guests may attend up to two meetings per year for a nominal fee. Check out our website and newsletter for more information about each month’s speaker. Don’t forget to bring your finished projects for show and tell!